A limited edition ornament pattern from Just Nan called Lorelei Lamb. 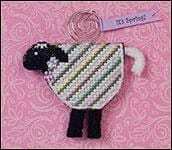 The pattern comes with the curled hanger, black felt for legs, yarn for tail, seed beads for accents, flower sequins, It’s Spring banner. 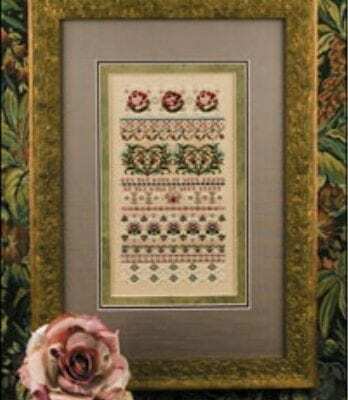 The model is stitched with DMC floss on 32 count white Belfast linen from Zweigart. Design area is 50H x 35W or 3″ x 2 1/4″ on 32 count.